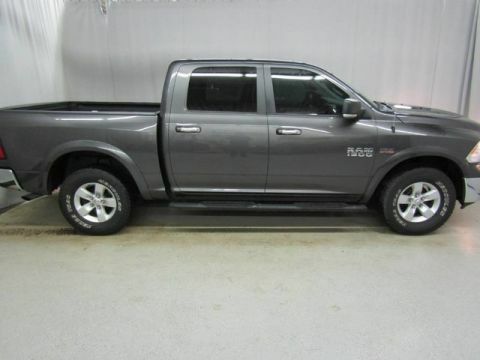 This 2017 Ram 1500 Crew Cab 4x4 SLT features the large 8.4 Uconnect 3C infotainment with integrated Garmin navigation, streaming blue tooth, steering wheel audio controls, usb and aux ports plus front bucket seats with 10 way power drivers seat, chrome side steps, and chromed wheels, tonneau cover, spray in bed liner, fuel efficient 3.6L V-6 with 3.21 axle ratio and 8spd automatic power windows, locks, and lots more, this beautiful truck is a must see. During our inspection we mounted and balanced 4 brand new tires, replaced the coolant bypass valve, and air conditioning compressor, evacuated and recharged the a/c and changed the engine oil and filter. 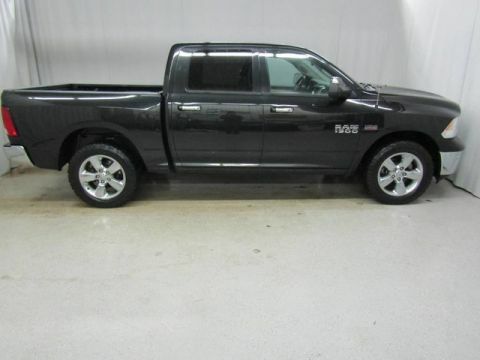 Auto Check history report shows this Ram to be a one owner with no reported accident history. 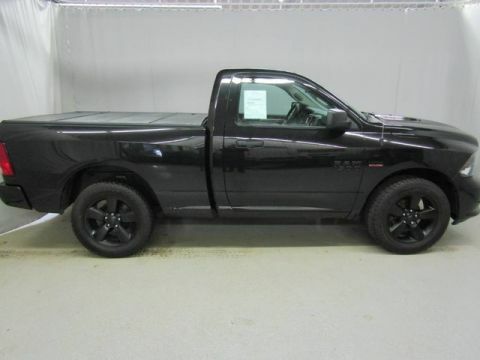 At McFadden Friendly Motors, we strive to provide you with the best quality vehicles for the lowest possible price, and this 1500 is no exception. This vehicle has been inspected, serviced, is sold with warranty and is ready for immediate delivery! 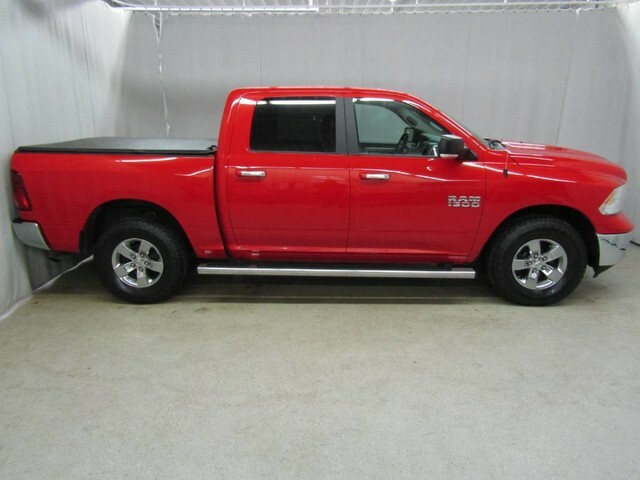 Stop in, call or click today, before this vehicle is gone!!! 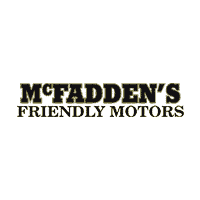 See our entire inventory at www.mcfaddenfriendly.com!